Manchester City striker, Sergio Aguero was involved in a horror crash in Amsterdam last night & has multiple fractured ribs. 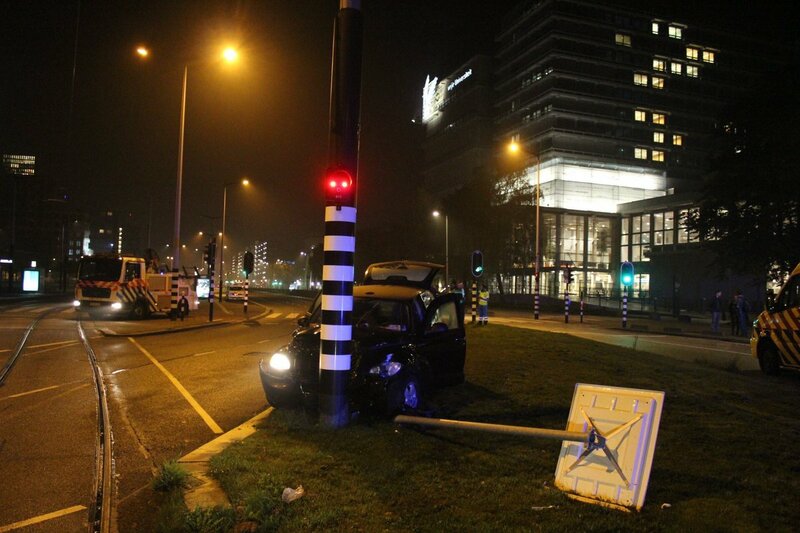 According to reports in the Netherlands, the Argentine was saved by his seatbelt when the Crysler PT Cruiser he was being driven in to the airport rammed into a pole in Amsterdam, close to a pedestrian crossing. The 29-year-old was in Holland on Thursday, September 28 night to attend a concert by singer Maluma, following Manchester City’s Champions League victory at the Etihad Stadium on Tuesday. Both he and the driver were saved by airbags and rushed to the hospital. He’s expected to be out for two months. Previous“Some cycles begin while others end” Diego Costa Thanks Chelsea. NextIt’s Not A Lie: D’banj’s Cream Platform Is One, gives out cash prizes to fans.